The Place Standard is a tool that is used to assess the quality of a place. It can assess places that are well established, undergoing change, or still being planned. The tool can also help people to identify their priorities for a particular place. The tool is simple and free to use. It consists of 14 questions which cover both the physical and social elements of a place. We have provided prompts to help you answer the questions. When you have answered all 14 questions, you plot the results on a simple diagram (as shown on the previous page). Where we spend our time has an important effect on our lives and our wellbeing. Improving the quality of places and the opportunities we have access to can help to tackle inequalities. Understanding the existing and potential strengths of a place can help us make good decisions and allow us to target resources to where they are needed most. This approach can deliver better results over the long term. The Place Standard tool can also support the design and delivery of successful places, creating good-quality development where people want to live. Who the tool is for? The tool is designed for everyone to use – communities, the public sector, the third sector (voluntary and non-profit organisations), and the private sector. People will want to use the tool in different circumstances and for different purposes, but it allows people to work together productively and consistently across sectors and boundaries. The tool allows different sizes and types of places to be assessed. This can be in urban or rural areas. It can include whole towns or neighbourhoods. You can use the tool to assess existing places, as well as places that are still being planned. Those involved in assessing a place should agree beforehand the area they are going to assess. You can either complete the tool on paper, or go online to www.placestandard.scot. There is also a Place Standard app for Apple or android devices. Record who you are. Say whether you are completing the tool as an individual, or representing a group, and agree the area you are going to assess. Answer each question by giving a rating on a scale from 1 to 7. We have provided some prompts to help. If you are answering as a group you should agree the rating between you. There is a space for you to record the reasons for your answers. When you have answered all the questions, plot each rating on the compass diagram (this will be done automatically if using the online tool). In this example (opposite) the ‘Moving around’ question was rated as a ‘5’. The next question, ‘Public transport’ was rated a ‘6’. Draw a line between each point as you go along. After the diagram is complete, you can look at the results and agree priorities and actions. We have provided space for you to list the main issues. There may be instances where the question does not seem relevant or where you feel you do not have enough information to answer. In these cases you should think about the area that you are assessing as part of a larger place, or make sure that there is a way in which the views of the community can be properly taken into account. If the tool is being used to help plan a new development where a community is not yet established, you will want to think about what it will be like to live there. It will also be useful to consider the needs of, or effect on, neighbouring communities. It is recommended that you refer to the National Standards for Community Engagement (http://www.scdc.org.uk/what/national-standards/) if you are applying the Place Standard within a process of community consultation. The diagram produced will be easy to understand. It should show, at a glance, the areas where a place is performing well and where there is room for improvement. If you have assessed a place as good, the shape of the diagram will be fuller, reaching towards the edge of the circle (as shown in the example for ‘Public transport’). 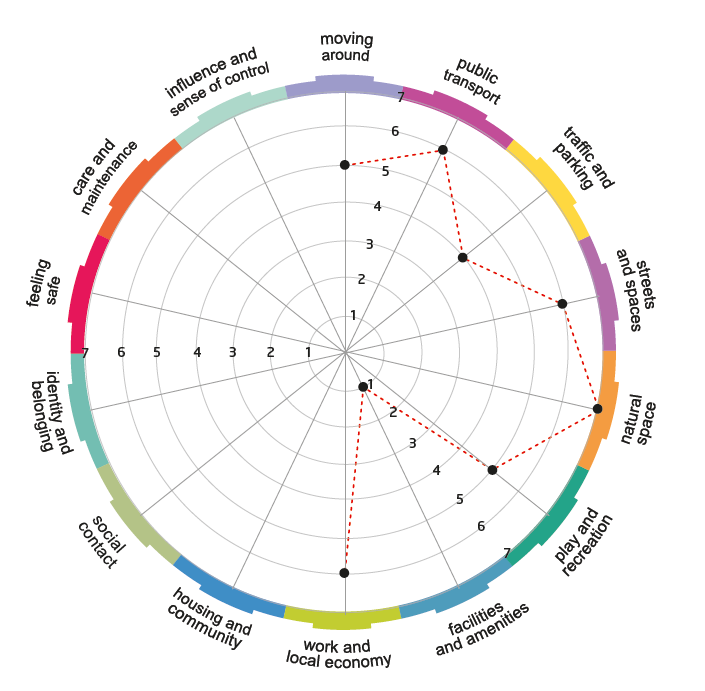 Where a place is seen as performing poorly, the shape will be smaller, remaining towards the centre of the diagram (as shown in the example for ‘Facilities and amenities’). There is no benchmark or minimum standard. The tool is used to measure the strengths and assets of a place and to show areas where action may be taken. 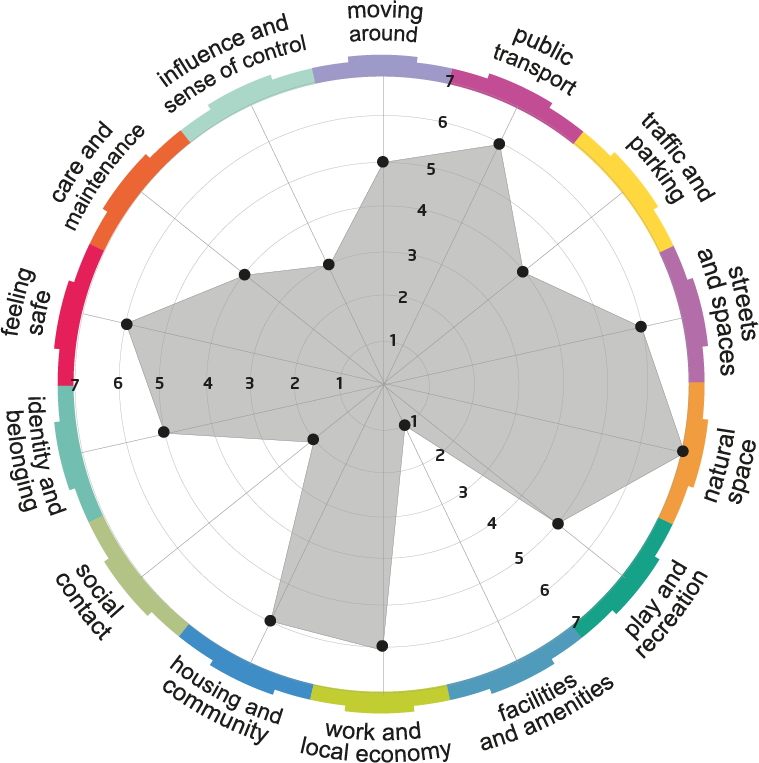 Communities can use the tool to assess what works about their place and where it needs to improve. This may be part of a wider discussion about regenerating an area, or it might be to support a new place or development which is planned nearby. 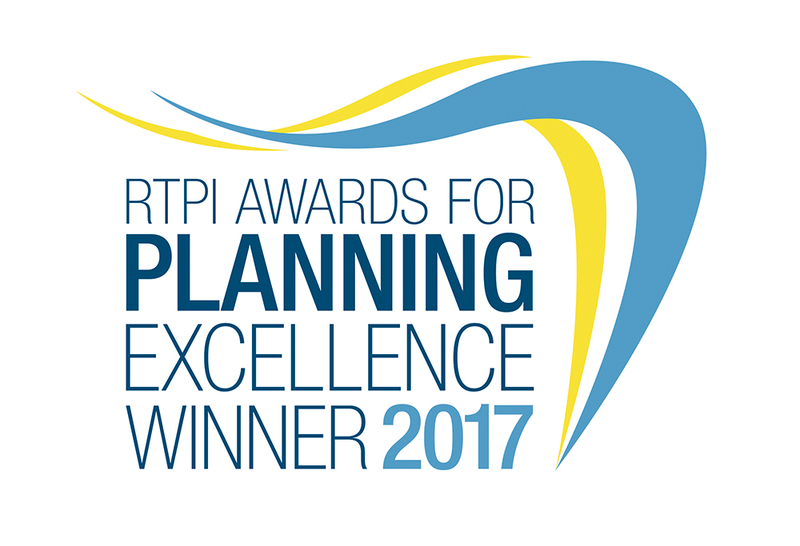 Local authorities and Community Planning Partnerships can use the tool to help plan their activities and decide on their priorities for action. The development sector can use the tool to find out what communities need and create good places where people want to live. The Place Standard tool is part of a process, not the end of the process. When considering what you might do next, you should think about opportunities to develop and build on the conversations and relationships the tool has started. The tool allows you to assess the place consistently, and over time to see if improvements have been made. To get the most out of the tool you will want to record the qualities of the place you are assessing and the reasons for your rating. This will help you to set out your ambitions for the place.